Will Trump Back Pentagon’s Permanent War Proposals? The two top national security officials in the Trump administration – Secretary of Defence James Mattis and national security adviser HR McMaster – are trying to secure long-term US ground and air combat roles in the three long-running wars in the greater Middle East – Afghanistan, Iraq and Syria. A Defense Department official testifying before Congress at the time admitted that the termhad no real meaning, because the Pentagon had never defined it officially. 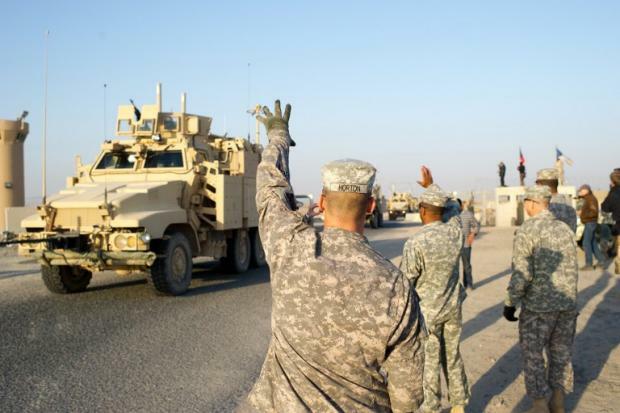 They are now negotiating on an agreement that would station US forces in Iraq indefinitely. And the troops would not be there merely to defeat IS, but to carry out what the war bureaucracies call “stabilisation operations” – getting involved in building local political and military institutions. But a group of officers who have worked closely with Gen Petraeus on Iraq and Afghanistan, which includes McMaster, has been pushing a much more ambitious plan,in which thousands – and perhaps many thousands – of US ground troops would lead a coalition of Sunni Arab troops to destroy Islamic State’s forces in Syria rather than relying on Kurdish forces to do the job. Both in its reliance on Sunni Arab allies and in its envisioning a large US military zone of control in Syria, the plan bears striking resemblance to the one developed for Hillary Clintonby the Center for New American Security when she was viewed as the president-in-waiting. Five past US commanders in Afghanistan, including Petraeus, have publicly caIled forthe US to commit itself to an “enduring partnership” with the Afghan government. That means, according to their joint statement, ending the practice of periodic reassessments as the basis for determining whether the US should continue to be involved militarily in the war, an idea that is likely part of the package now being formulated by Mattis.